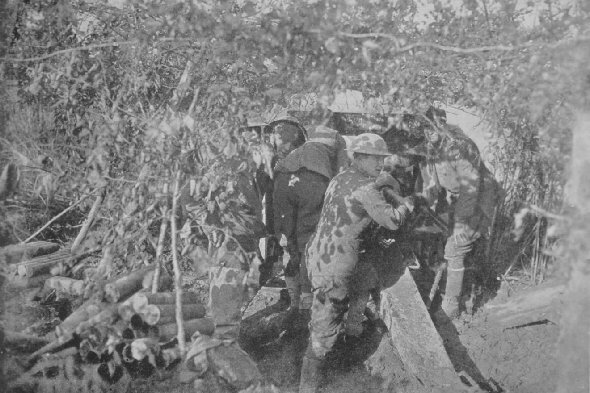 Members of Battery C, 10th Field Artillery, 3rd Division, loading a 75 mm. which is shelling Bois de Foret, 4 kilometers northeast of the battery. Madeleine Farm near Nantillois, Meuse, October 18, 1918. 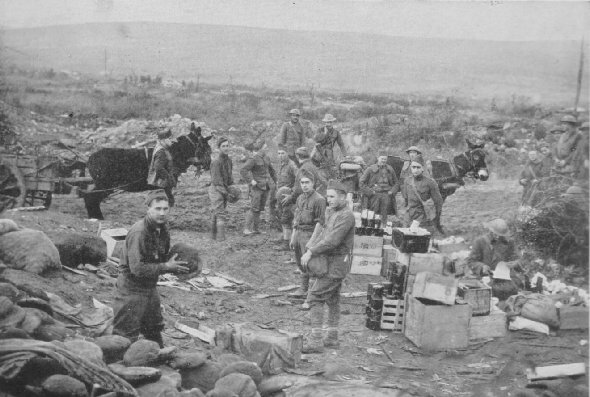 Loading supply wagons with food for the men at the front. 102nd Infantry, 26th Division, between Samogneux and Haumont, October 27, 1918. It was always "open season" on food details.